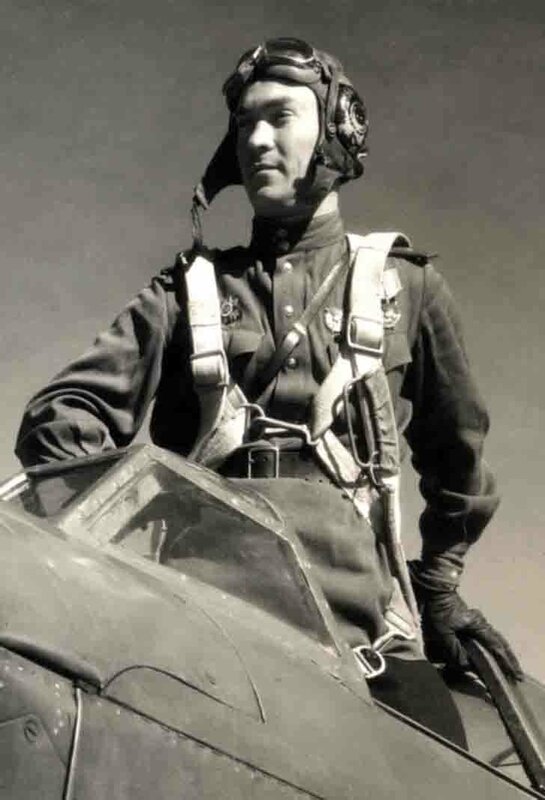 The pilot, Major George A. Osipov. 1943 Belorussian Front. Here Georgy Osipov depicted in a fighter cockpit, but in 1944 he flew the bomber A-20 “Boston”. Location Service at the time – 221 bomber BAKHMACH Order of Suvorov Air Division, the 6th mixed Lublin The Red Air Corps, the 16th Air Army. Georgy Osipov successfully served until the end of the war. Georgy Osipov wrote the book “In the sky, the bombers”, published in 2003 in Russia.